By Rakesh Gupta: The shocking reality bites hard. Even if we claim about development of KBK region and all-round development in Odisha in the last 15 years, this shocking picture has exposed all claims made by the government. 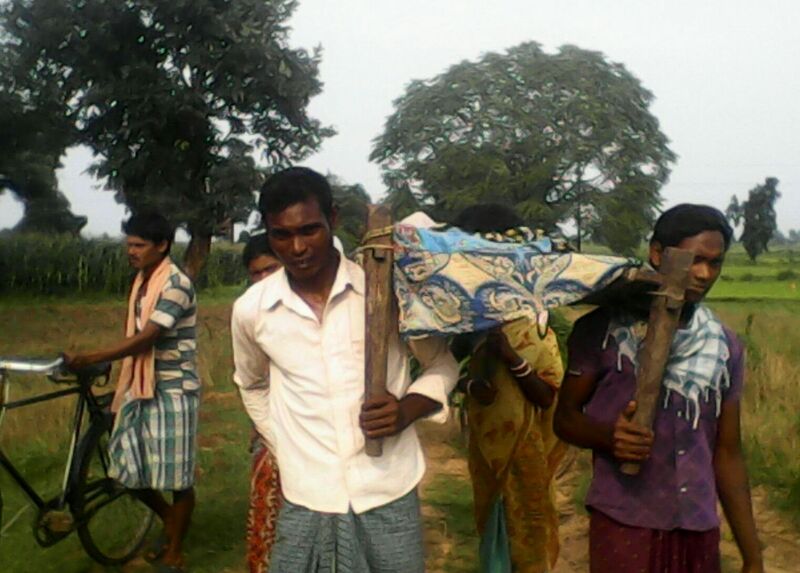 A pregnant woman was carried on cot to reach Janani Express, thanks to poor road network and transportation facilities in Nabarangpur district. Kuni Santa, wife of Sunadhar Santa, a resident of Samar Chachra village under Jharigam panchayat, was having labour pains. They consulted Asha Didi, who urged hospital authorities to send ambulance to take her to hospital. But, the 102 Ambulance could not reach the village due to poor road network. It was halted at a place – 3km away from the village. The villagers did not have any option, but to carry her on a cot and covered three km distance to reach the ambulance. Later, she was taken to Jharigam Hospital. The villagers confirmed that this is not the one-off incident. The road is in a bad shape for the last 10 years, but the administration paid no heed. Despite the fact that Odisha Transport Minister Ramesh Chandra Majhi represents Jharigam Assembly segment, situation has not improved yet. The villagers have urged Mr. Ramesh Majhi and Nabarangpur MP Balabhadra Majhi for quick action on this issue.